Today, Y’all Politics released the results of a groundbreaking poll conducted this past week. 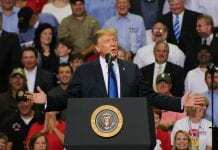 Conducted by Triumph Campaigns, the poll tested the opinions of 1,000 Mississippi likely voters about candidates in the upcoming elections for US Senate. In what is now the marquee political race in 2018, this poll tested the four announced candidates. US Senator Cindy Hyde Smith and former Ag Secretary Mike Espy were essentially tied at 31% with state Senator Chris McDaniel from Laurel far behind at 13%. Tupelo Mayor Jason Shelton came in at 8%. 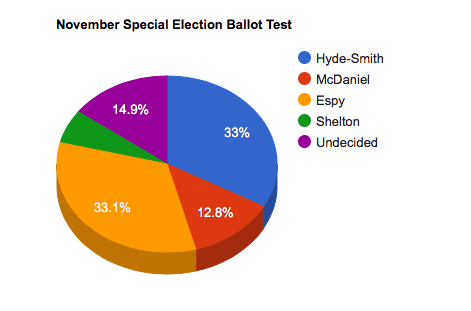 These results correlate with results from a late March poll released by the Mike Espy campaign showing Espy and Hyde-Smith close with McDaniel trailing. Shelton had not announced for the race at that point. The poll then narrowed the field to some likely outcomes. Cindy Hyde Smith was polled in a two-person ballot against Mike Espy. 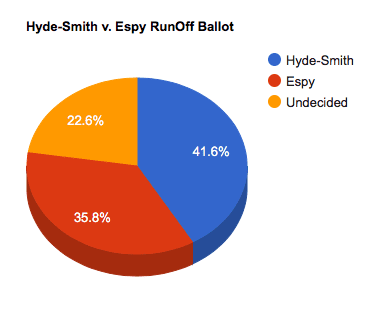 Hyde-Smith bested Espy 42/36 with 22% undecided. 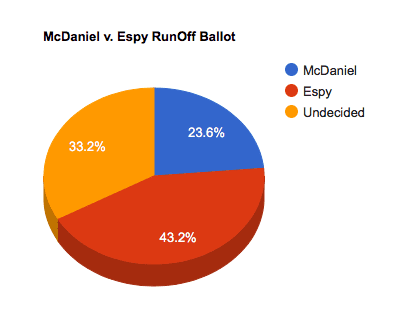 However, when Espy was tested against Chris McDaniel, Espy bested McDaniel substantially by 43/24 with 33% undecided. The poll tested favorables and unfavorables for several candidates in both US Senate races. The poll tested both Republicans and Democrats for their thoughts on the race. 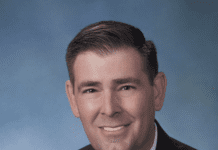 Wicker enjoyed a clear advantage over his primary opponent Richard Boyanton by a margin of 68/10 with 22% undecided. The poll also asked voters about their preference between Roger Wicker and Chris McDaniel (even though McDaniel had announced he was running for the other US Senate seat). 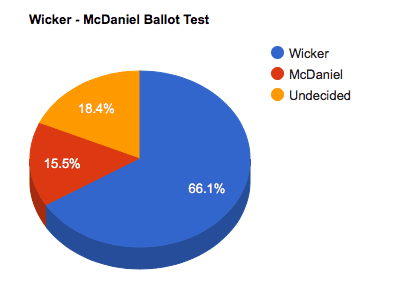 In this hypothetical, Wicker bested McDaniel 66/16 with 18% undecided. This is significant after Wicker had spent about $1 million on ads critical of McDaniel. McDaniel exited that race soon after. On the Democrat side, there are no clear leaders. Democrats are largely undecided (79%). 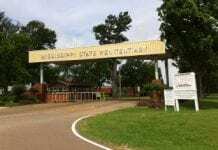 Of those that expressed a preference, Rep. Omeria Scott led respondents with 9% of the vote followed by fellow state legislator David Baria at 7%. Jason Bohren and Howard Sherman trailed at 4% and 2% respectively. Finally, the poll tested Roger Wicker vs. David Baria in a hypothetical general election ballot. Wicker led clearly by 48/31 with 21% undecided. The poll asked respondents on their opinions on two more issues. First, voters were asked about the impact of a Trump endorsement. Voters were split. Trump’s endorsement improved the likelihood of support from 32% of voters, but lessened it from 37%. 32% said it made no difference. This question was asked of both Democrats and Republicans. 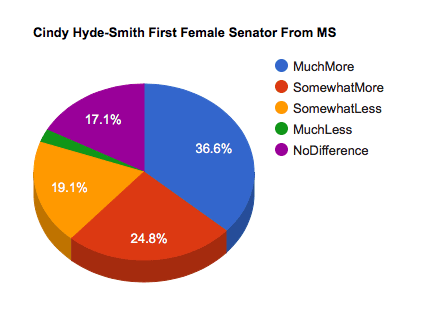 Secondly, all voters were asked about the impact of Cindy Hyde-Smith being the first woman US Senator on voters. 61% of voters said that it made it somewhat or much more likely to make a difference in support. 21% of voters said that it was somewhat or much less likely a factor. 17% of voters said it made no difference. This IVR poll was conducted statewide on April 10 and April 11 and consists of self identified likely voters. 1,000 surveys were completed and crosstabs based on age, race, party and gender are included below. Results were not weighted.